Let me immediately say how honoured I am to be given this opportunity to state in 20 minutes some of the points about Southeast Asia’s development that I have been wanting to make for many years. A warm “Thank you“ to Mr Michael Fay, for asking me to be here today. 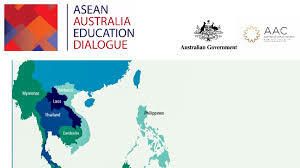 Needless to say, I am very happy that the First ASEAN Australia Education Dialogue (AAED) should be held here in Penang, my hometown. We like to think of Penang as the spot in Southeast Asia where much of what we today recognize as “Modernity” first landed. This happened in 1786, 16 years after Captain James Cook landed in Australia for the first time. But what I wish to do today is to draw your attention to certain factors – certain concepts and dynamics, in fact – that anyone studying Southeast Asia and worrying about its future, or in fact anyone studying any single country in the region, should consider. I will try to describe Southeast Asia in a historical fashion, and through that, I hope to project to you a broad understanding of the region’s challenges and self-image, and of ASEAN’s significance today. Southeast Asia is indeed a strange and unique region. In many ways, it was peripheral to the major dynamics of human history, which to a large extent were played out on the Euro-Asia landmass. It was drawn into world events only in recent centuries. But before that, much civilizational influences did steadily come from across the Bay of Bengal, and the traditional cultures in Southeast Asia are recognizably Indic in character. In the archipelago, there is an obvious overlay of Islamic and Arabic influences. The northern and continental parts of Southeast Asia exhibit Sinic influences, especially in Vietnam and parts of northern Myanmar. The arrival of Europeans to the region came in waves. The Catholic Iberian nations came first, and were followed by the mercantilist government-linked companies that we know as the East India Companies of the Dutch and the British. The British managed to gain a foothold on the Straits of Malacca, here in Penang, in 1786, 275 years after the Portuguese took Malacca, and 145 years after the Dutch took Malacca from the Portuguese. There is, thus, an overlay of European culture over the earlier Indic, Arabic and Sinic influences in the region. Now, what is interesting to us here is that the European influence took the form of clear territorial entities, and in a region, especially in the south, whose cultures have always been sea-based (apart from the island Java, perhaps). The nations in the region were all born out of the political contingencies of late colonialism, and of colonial retreat. They were also born under the banner of Nationalism, a word that subsumed the powerful complexity of human feelings of the times. Nation building has therefore been a hasty and painful process in most parts of the region, where the half-blind led the blind. I assume there were—and there are—cases where the blind led the half-blind. I shall return to the contingencies and the complexities of the internal workings of nation building in the region later. It is critical to remember here that the governments of the newly independent countries were building new nations, new states and new citizenries in the midst of the global Cold War that immediately followed Second World War. For Malaysia, the Second World War was in effect the Japanese Occupation, while the Cold War was a conflict between communist parties and parties supported by the retreating colonialists. While the Cold War raged hotly in the northern countries, in the maritime countries, the dynamics of their foreign policy moved towards security collaboration with their immediate neighbours. That was the basis for the formation of the Association of Southeast Asian Nations (ASEAN). It became quite clear early on that the cultural walls built by the colonialists were high ones, and diplomatic ties between the new nations would have to be akin to a treading on eggshells. With the end of the Cold War, the northern nations began to join ASEAN, one by one. And today, we have ten members in the regional body. But unlike Europe, there is no ancient civilizational imperative for these countries to integrate in modern times. Their integration, therefore, driven as it is by insecure national governments, has been a cautious process. In fact, ASEAN amounts to a project that is trying to create a region rather than an expression for a region. The region being peripheral to world history also meant that its political, cultural and social dynamics were more driven by spontaneous economic activities than by far-reaching political and imperial ambitions. In many ways, one can see Southeast Asia as a leftover region in the global context of imperial expansions, bordered from without rather than from within. Let me elaborate further on what I mean by mentioning four ways in which Southeast Asia can geopolitically be perceived. First, the British created a Southeast Asia Command during the Second World War that had oversight over the areas East of India, but excluding the Philippines, which was an American concern. Second, for the Americans, the Southeast Asia that interested them were the parts that bordered the Pacific or that could be of strategic use in containing China. Third, there is China’s view, which considers Southeast Asia as the parts that are accessible by sea, and then the rest, which would be continental Southeast Asia. The lastly, there is how Southeast Asian countries today wish to see themselves—as the region covered by the ten ASEAN countries. Then one could ask what Australia’s view of Southeast Asia is? Is it Indonesia and its northern neighbours? Is it the buffer between Australia and China, or Australia and India? Or is it a region Australia would like to be a part of. Would Australia complete ASEAN? This question is not for me to answer of course, so I will leave it at that. Why I feel that I need to mention all these historical details and highlight the conceptual tenor of the region’s self-image is that it helps us understand the nature of nation building in each country. Despite its long history, what we have been witnessing the last 50-70 years are painful attempts at building a new nation, a new state and a new citizenry at the same time. More than that, creating from disparate economies a national economy that is often at the mercy of fast-changing and relentless global dynamics often not easily understood is no walk in the park. I wish to highlight the contingent nature of the political landscape in the region, and the degree to which we are held hostage of history; and therewith suggest how much change is actually possible if we keep in mind how unplanned our present situation is, and how pragmatic our key concepts of identity are. ASEAN, therefore, has often acted as a safe harbour for these countries in the global scheme of things, while each ship of state tries to work out how a new nation, a new state and a new citizenry is to be build that can be sustained. This brings me now back to “the contingencies and the complexities of the internal workings of nation building in the region”, which I left dangling earlier. Countries are generally more state-nations than they are nation-states. And perhaps it is more correct to say that we are dealing with nation-state-nation-state-nation-state in an endless process. The state seeks to create a nation and nations within a state try to create a state that suits it. Since the aspect of nation building that is important for us at this conference is Education, let me end by saying a few words about the future of this very important matter. Education is the great leveller, we all believe that. We all know that. So why do so many countries have such trouble getting their education system right? After more than half a century, why are so few countries in the region proud of their institutions of learning? As a short answer to that, I would say that governments have tended to be overwhelmed by other matters—matters of identity, matters of religion, matters of race, matters of security, and the list goes on. In fact, most leaders in Southeast Asia, apart from those in Singapore perhaps, are not highly educated people who we can assume would appreciate the importance of scientific knowledge as a common and economic good. Just as importantly, a clearer understanding of the socio-economic and socio-political prerequisites for creativity, and of the central importance of individual freedom in the process of learning and production, is possible if Southeast Asians—and especially Southeast Asian governments—can get over the fears and insecurities that accompanied the first half century of their nation building history. What is an effective way out of this? How should we think in order to quickly take advantage of the new age of digital technologies and the new mind-sets and possibilities unleashed by the new connectedness we all live under? For the region as a whole, being a latecomer can be a great advantage. But there must first be an admission on the part of policy makers that the longer they retain 20th century ways of doing things, the harder it will be for the next generation to take advantage of the new age. They owe it to our young to seriously rethink how policies for the future should be made. The old ways will merely recreate the old problems. Disruptions are definitely hitting the Education Industry. But while the possibilities for comprehensive learning offered by new technologies appear to be endless, the educational infrastructure in developing countries appears also to be very conservative, and is probably acting as the biggest barriers to change. Changes, I believe therefore, will largely come from outside the traditional system. We do see such trends already, and the inefficiencies of traditional schooling is becoming unbearably obvious to those parents who are knowledgeable enough to see the disruptions that are already happening. Now, why I talked so much about the insecure nature of Southeast Asia’s nationalism is to highlight the make-do, formalistic and copycat methods early nation building adopted. There is no need to keep to that in this new age of possibilities. To lessen the conservativeness of 20th-century governance, which tends to increase if left to its own devices, we need to consider politics, economics and educational possibilities in a regionalist manner. For example, learning languages should not be seen as a zero-sum game. In many new nations that gained independence after the War, language as national identifier led to a turnaway from English, as if knowing one language made you weak in another. We saw that in China, we saw that in Malaysia, definitely. In China, the obvious solution soon took over. You learn two languages, if not more. In fact, we now have many studies showing that bilingualism and multilingualism enhances your EQ and your analytical skills. It sounds ridiculous today, but that was how it was seen in the old days, and definitely so in Malaysia in some quarters even today. There was an excessive concern with language as the identifier of national identity. English is the language of globalism still; it is the language in which a lot of new knowledge is transmitted through. Mastering English does not make a child less able to use his or her mother tongue, but not mastering English will certainly hamper his educational development and make much new knowledge inaccessible to him or her. Making centres of learning, or simply making teachers and lecturers more accessible to students throughout the region without the students having to move and live at a definite campus for years would make schooling an easier process for many poorer families. My organisation, Penang Institute, which is Penang state-funded, has been tasked to start something we will call “Leadership Academy”. The point of this is to facilitate the learning of cutting-edge managerial skills and analytical prowess in top and middle management, and among promising young people. That is not an easy job, but it has to be done. Where policy is concerned, making sure all homes have Internet connectivity and at acceptably high broadband speeds, should be the major concern of all governments. Now, more than ever, education is the great leveller. But for that to happen on a broad scale, governments and teachers, and educationists from the private sector will have to be efficient facilitators. It may seem that the smaller a country’s population, the faster it should be able to jump on the bandwagon of new educational technologies and digital infrastructures. But I think that does not need to be true. The more people being served will mean lower costs per person. So size is no excuse. For educationists, this is the time of possibilities. By enhancing mobility, communication and choices, raising the educational level of the next generation of Southeast Asians to a global level is fully possible. We need political will, and we need private sector push, and we need parents to be brave. There is really no alternative. And most important of all really, we need things to happen at the regional level if the region as a whole is to pull itself out of the educational equivalent of the “middle-income” trap. And here, I strongly believe, is where Australian initiatives like this one today can play a strong facilitating, if not decisive role.